Hello penguins! 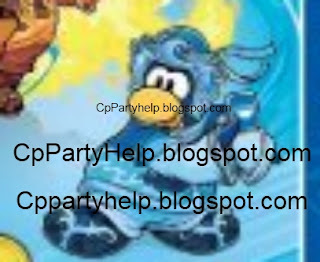 The water dojo will be coming to Club Penguin in November! Then in the next November after this coming up one, we will have a Ice Dojo. I wonder what is coming up after that then? Hmmm......What are your thoughts? Will we only be Fire, Water, and Ice ninjas? Or will they add more Ninja ranks. Maybe they would add Earth, Power, and Wind? I don't know! But I do know this! I have a amazing picture of the all NEW Water Ninja! Check it out! No its not in HD, I am sorry for that! But its something I found. 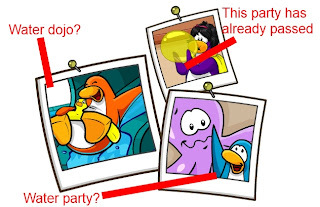 Also I found this picture on Billybobs Blog! I did some editing on the picture to explain what I think of it. So check it out! Im really excited for all of this!